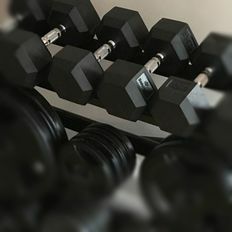 ​A wide selection of dumbbells used to perform a number of exercises to improve strength and endurance. Hex dumbbells have a rubber coating and are comfortable to use and reduce noise. Furthermore they don't roll when placed on the floor!